For use with Pathway clinical and home surface EMG units. Enhance EMG signal pickups and reduces background "noise". Popular style of surface EMG electrode. 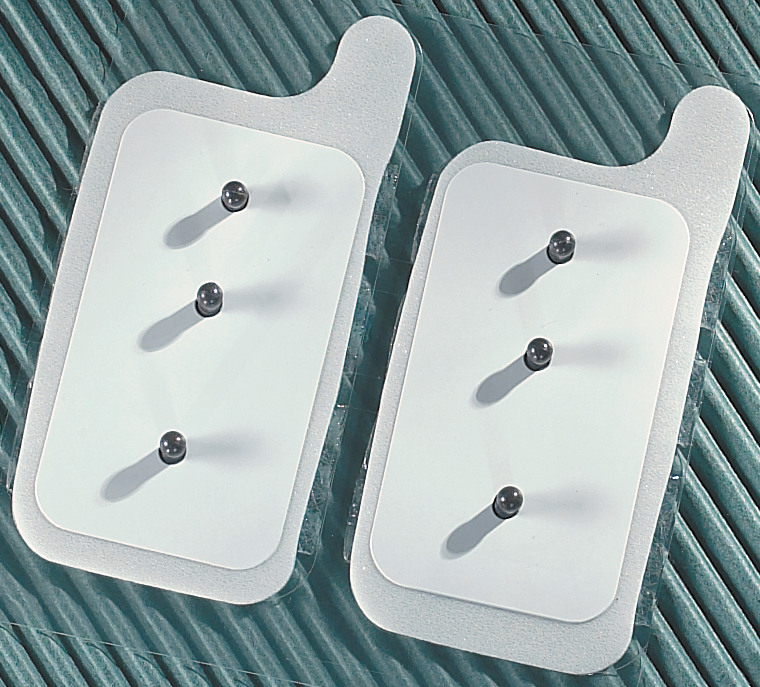 Features standard 2cm spacing between silver-silver chloride electrodes and brass plated nickel snaps plated brass to help prevent corrosion when connected to pre-ampliers. For use with clinical and home surface EMG units. Utilizes a standard snap connector.